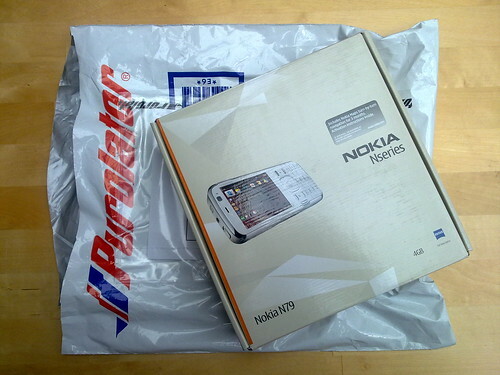 It’s a good thing for Nokia that my new N79 arrived yesterday, because I was all set to write a damning report of the complete and utter disaster that is N-Gage on the flagship N97. Despite not being able to get N-Gage screen grabs I would have still persevered and shown you firsthand how the touchscreen and physical D-Pad are used for input arbitrarily and actually work against you when you’re trying to play a game, or navigating through a game menu for that matter! Furthermore, I would have told you that it’s not even worth enduring this because (1) the games don’t even play full-screen (?! ), and (2) every single game I tried looked like crap. I would have summed up by letting you know that the N97 is absolutely not a gaming machine, and that you’d be much better off with an iPhone or iPod touch if that’s all you’re after. This entry was posted in Mobile and tagged N-Gage, N79, N97, Nokia, Nseries, Reset Generation. Bookmark the permalink. So glad you picked up an N79 – hands-down my favorite Nseries device currently available. It’s just plain fantastic. I have to admit, though, that I’m a total T9 n00b… And that number pad is pretty stiff! Good luck avoiding the 2 key when you’re trying to press ‘DOWN’ and vice versa. I don’t see how that could possibly be a problem — the D-Pad on this thing is huge.